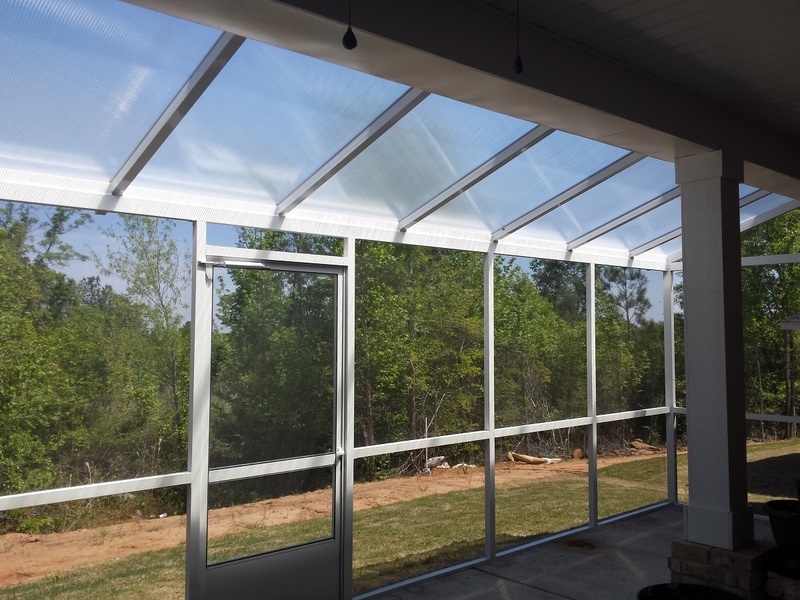 This Bonaire, GA, Screened Patio Is Sure To Let the Sunshine In! Archadeck of Central Georgia recently completed one of our most unique screened rooms to date! These Bonaire, GA, homeowners had purchased their home with an existing concrete patio on the back. The patio went beyond the covered portion of the roof and the homeowners retained this open area with the intention of creating a flower bed surround. Over time, they decided to eliminate the exposed area because each time Mother Nature came to call, the rain would soil the patio. They also felt an insect-free covered space would serve them better than flowers, and would expand the time they could spend enjoying their backyard. With this in mind, Archadeck of Central Georgia designed a screened patio that is reminiscent of a conservatory-style outdoor room. Instead of the traditional roof extension we use for most of our screened porch and patio designs, we used greenhouse panels. This allows the space to be bathed in natural light, helping to keep it warm in the cooler months and reducing the loss of light into the home a traditional roofed structure might cause. 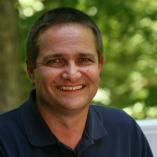 When considering an addition of any kind to your home you have to consider the loss of light into your home. Screened porches will often reduce the amount of light the rooms adjacent to it receive because of the addition of a roof, screens and the elements of the entire structure. Here at Archadeck of Central Georgia we always discuss this with our clients as there are options that can curb the loss of light, such as skylights or adding recessed can lighting. These need to be decided prior to beginning the project. The way we designed this porch ensures minimal loss of light. 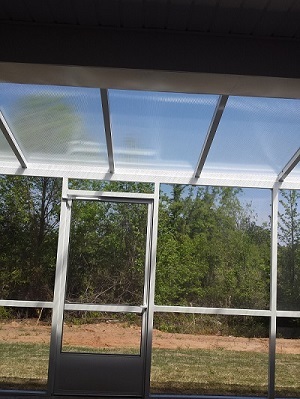 We installed greenhouse panels for the roof using a system of metal brackets with aluminum screened walls and a polycarbonate twin wall system. The 2" wall panel also give the appearance of a railing. Because we used a heavy beam in the space the room can facilitate the addition of a convertible window system such as Eze Breeze in the future, as the homeowners see fit. You can learn more about Eze Breeze in our story The 4 Things You Didn’t Know About Eze Breeze® Windows. 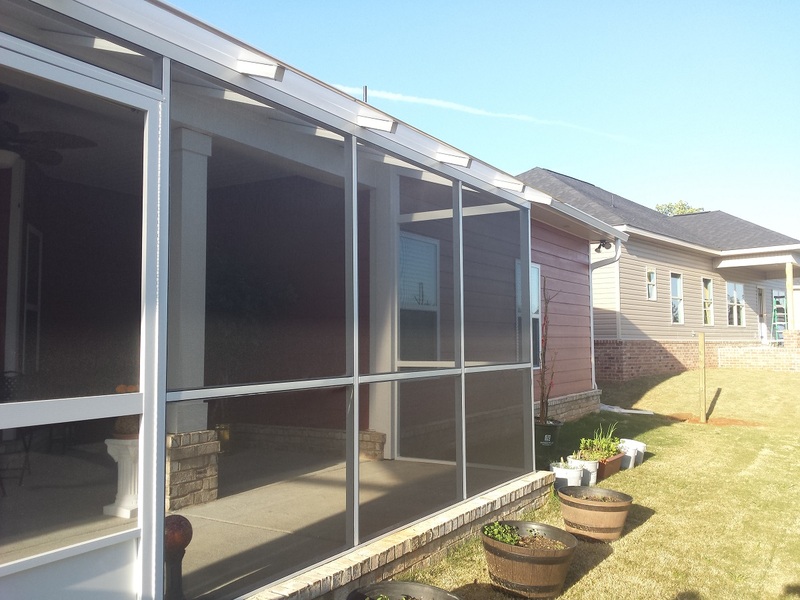 Let us show you how your backyard was meant to be with the addition of a custom screened porch design for your backyard and your lifestyle. Bringing your outdoor dreams to life is our specialty. Contact Archadeck of Central Georgia to learn more (478) 745–2000 or email us at [email protected].